The Supreme Court’s constitution bench headed by Chief Justice Ranjan Gogoi will resume hearing the clutch of petitions in the long pending Ram Janmbhoomi-Babri Masjid title suit on February 26. The bench also comprises Justices SA Bobde, DY Chandrachud, Ashok Bhushan and S Abdul Nazeer. It may be recalled that Justice UU Lalit who was part of the original constitution bench constituted by Chief Justice Ranjan Gogoi to hear the case had recused himself in January. Justice Lalit’s decision had come after objections were raised by some of the Muslim petitioners over his inclusion on grounds that during his stint as a lawyer he had appeared for Kalyan Singh, the BJP veteran who was chief minister of UP when the Babri Masjid was demolished by Hindu-right wing goons, supported by the Sangh Pariwar, in a case linked to the land dispute. Besides the Chief Justice and Justice Lalit, the original constitution bench that was formed to hear the case had also included Justices SA Bobde, NV Ramana and DY Chandrachud. 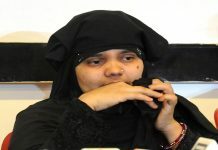 Questions were also raised on why Chief Justice Gogoi had excluded the only Muslim judge of the Supreme Court, Justice Nazeer, from the bench. With Justice Lalit recusing and the risk of a needless controversy surfacing over the ‘all Hindu’ bench, Chief Justice Gogoi had reconstituted the bench. The case was scheduled to come up for hearing on January 29 before the newly formed constitution bench. However, a day before the hearing, the Centre filed a controversial application with the Supreme Court registry seeking transfer of the “undisputed” but acquired land in Ayodhya – except the 0.313 acres on which the Babri Masjid stood – to the Ram Janmabhoomi Nyas and other original owners. “It is respectfully submitted that the acquisition took place in the year 1993 and 25 years have passed, the original landowners whose land, which were not in dispute but were still acquired, are entitled to get it back and the Central government is duty bound to restore/revert/hand over the same land,” the Centre’s application read. The prayer in the application said: “Permit the Central government to restore/revert/hand over back superfluous/excess vacant land (other than the disputed land measuring 0.313 acres) to the owners/occupiers from whom the respective lands were acquired under the Act of 1993”. 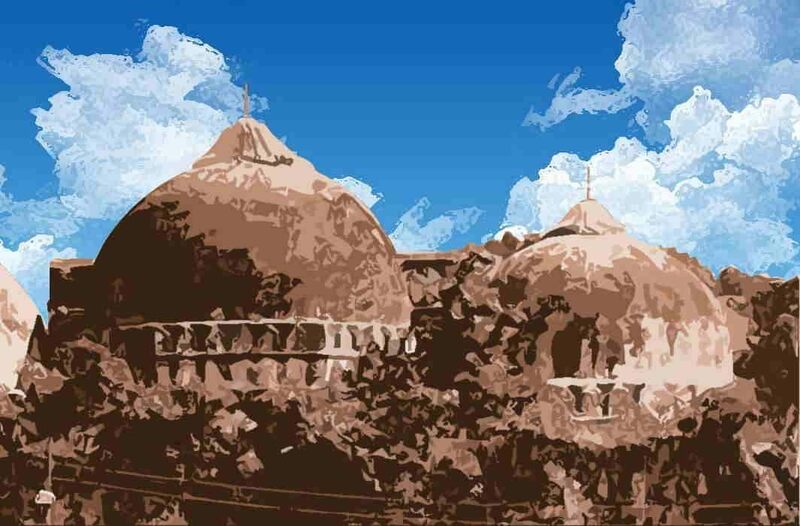 It may be recalled that the 67.7 acres of land at the Babri Masjid site and its vicinity was acquired by the Centre in 1993 through the controversial Acquisition of Certain Area at Ayodhya Act. “The Hon’ble Court be pleased to modify the order dated 31.3.2003 passed in the captioned matter so as to enable the central government to determine the exact extent of land required from out of the superfluous/excess land to ensure that successful party in the dispute pending regarding the ‘disputed land’ can have proper access to and enjoyment of rights in the disputed land. This applicant undertakes that each and every concern expressed by this Hon’ble Court in Ismail Faruqui (supra) and other judgments referred to above will be scrupulously taken care of,” the application stated further. The application by the Centre came at a time when the ruling BJP’s parent organization – the Rashtriya Swayamsevak Sangh (RSS) and its ideological allies like the Vishwa Hindu Parishad (VHP) and Bajrang Dal have been demanding that the Modi government bypass the legal proceedings in the pending Ayodhya title suit and bring in an ordinance to enable construction of the Ram Mandir at the disputed site. It is unclear whether, on February 26, the constitution bench will first take up the Centre’s application for hearing or proceed straight to submissions in the original title suit. It may be recalled that on January 10, senior advocate Rajeev Dhavan, appearing for the Muslim petitioners in the title suit, had objected to the Chief Justice’s decision of forming a constitution bench to hear the case without any fresh reference being made for the purpose. The bench, in unison, had rejected Dhavan’s contention stating that the Chief Justice had used his discretion and was permitted to do so as per the Supreme Court Rules. The bench had also overruled Dhavan’s claim that the Chief Justice had, by forming a constitution bench in the case, gone against an earlier verdict in the matter that said a three-judge bench was competent to adjudicate the pleas. Dhavan had then pointed out that the verdict in the title suit, delivered by the Allahabad High Court, runs into over 4300 pages and thousands of pages of documents related to the case still need to be translated and circulated to all parties and their lawyers. The bench had directed the Supreme Court registry to appoint official translators for the documents and also assess how much time it would take to complete the process of translations. The translations have to be made into English and Hindi from documents that are written in Arabic, Sanskrit and Gurmukhi, aside from some other vernacular languages. The progress made with the translations is not known yet.